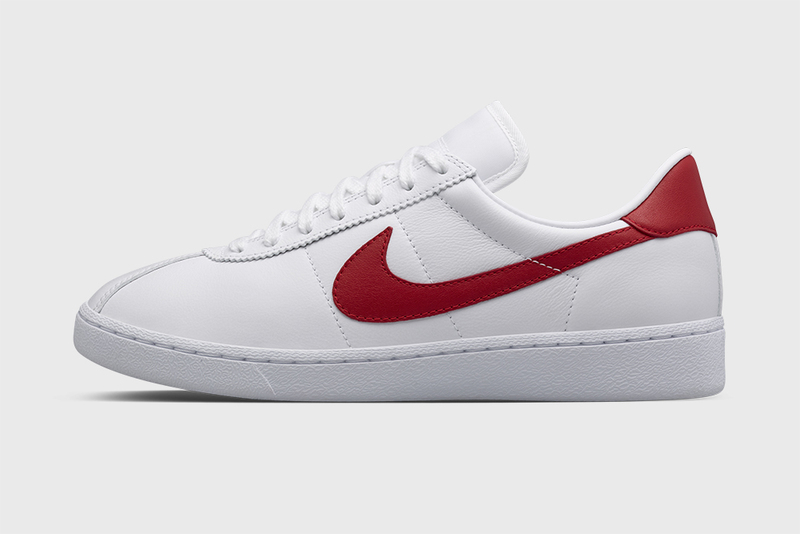 You could argue that the Nike Bruin Leather is actually Marty McFly’s sneaker of choice. It is after all the only sneaker he chose to wear in the trilogy, rather than being dressed by Doc Brown. It’s a part of one of his most iconic outfits, and definitely the most replicated to date (as much as we’d all love to bowl around in that self-drying jacket, shiny cap, and Nike MAGs). 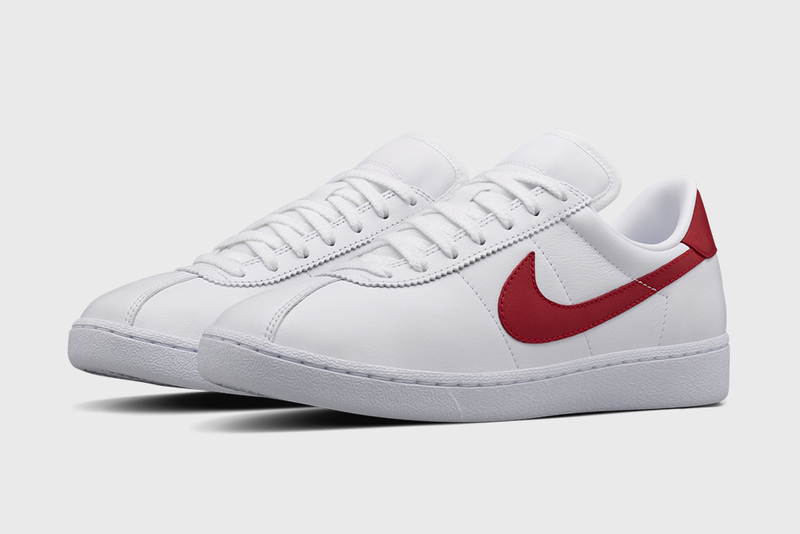 NikeLab, Nike’s recent top-tier category designed to eclipse Tier Zero, or replace the damaged top tier category, depending on your viewpoint, have reissued this strikingly stylish classic. 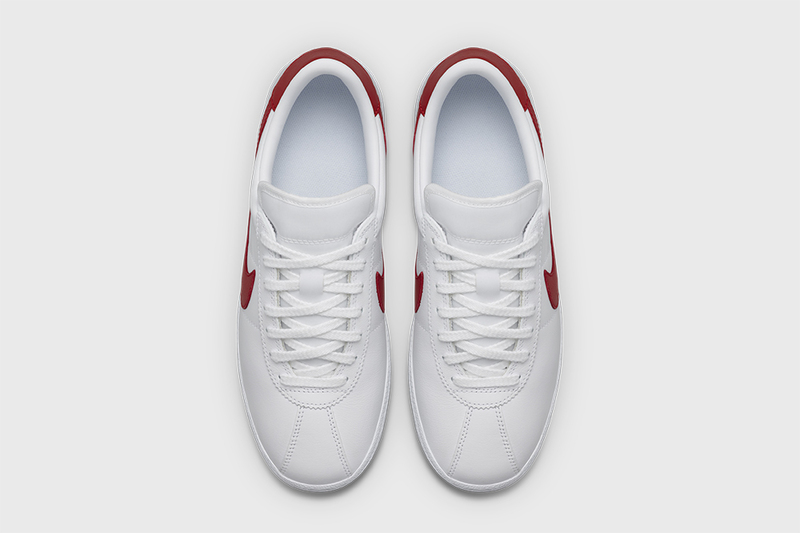 An all white full-grain leather upper is accompanied by that instantly recognisable red Swoosh, which marks the only branding on the entire shoe, other than on the outsole. 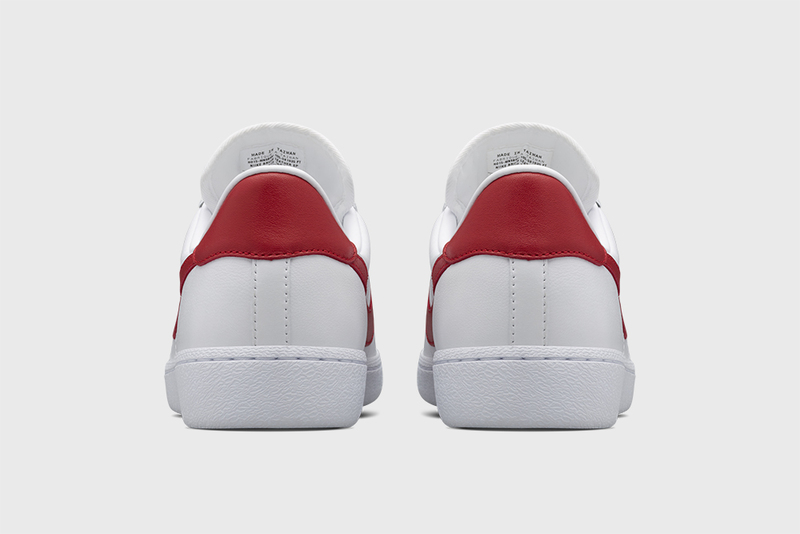 It’s almost odd to see a Nike classic like this with no branding on the heel tab. 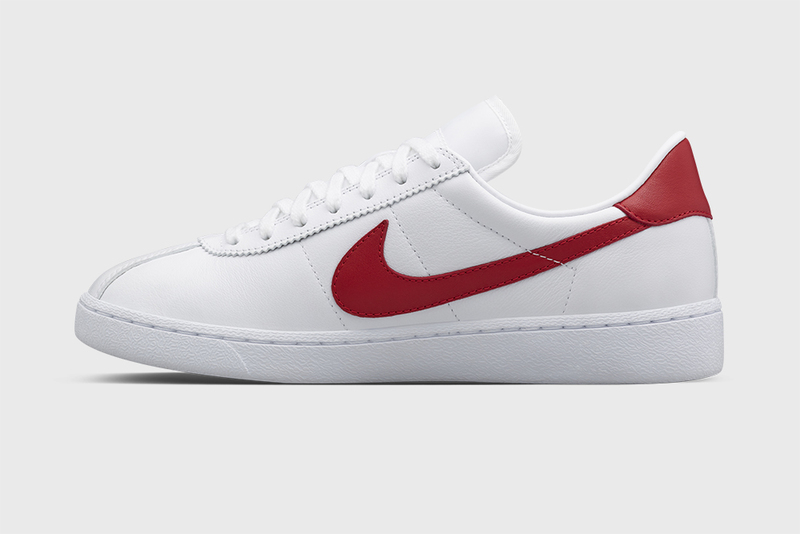 Aside from its shining glory moment on the feet of Marty McFly on a skateboard chase in Back To The Future, the Bruin also marks the start of Nike’s venture into basketball. 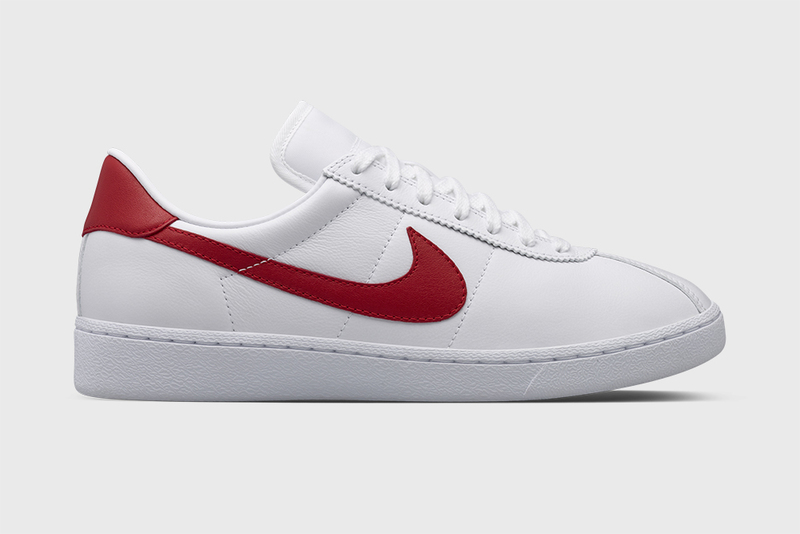 First appearing on court in 1972, the Bruin began what would become one of Nike’s most important sporting categories. However, that version was suede. 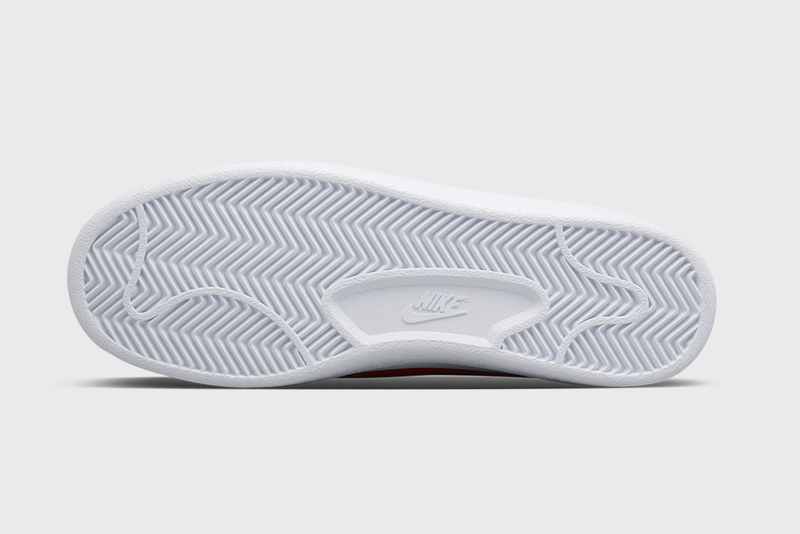 They may not be calling it this officially, but this is the Marty McFly colourway and it’s no coincidence that it drops today.